A rare, brain-damaging virus has killed at least 10 people in southern India. Health officials said Tuesday that 10 people who were exposed to the Nipah virus and showed symptoms have died. A rare, brain-damaging virus has killed at least 10 people in southern India, where medical crews are scrambling to manage the spread of the deadly disease - and to minimize panic. Health officials said Tuesday that 10 people who were exposed to the Nipah virus and showed symptoms have died. Two others have tested positive for Nipah and are considered critically ill, and more than three dozen people have been put into quarantine since the outbreak began in the Indian state of Kerala, according to BBC News. "This is a new situation for us; we have no prior experience in dealing with the Nipah virus," said K.K. Shailaja, health minister of the state, according to Reuters. "We are hopeful we can put a stop to the outbreak." Shailaja had said earlier the outbreak had been "effectively" contained and that there was no need for the public to panic. But the virus's spread - and the rapidly rising death toll - have prompted concern in the outbreak's epicenter, Kozhikode, a coastal city in Kerala, where people have been "swarming" hospitals with fevers and other illnesses to ensure they do not have the virus, a local government official told Reuters. "We've sought the help of private hospitals to tide over the crisis," said the official, U.V. Jose. Gulf News reported that Kerala "is in a state of panic after many cases of the killer Nipah virus were detected." The Hindu reported that some ambulance drivers even declined to take a victim's body to the crematorium for fear that they would contract the illness. 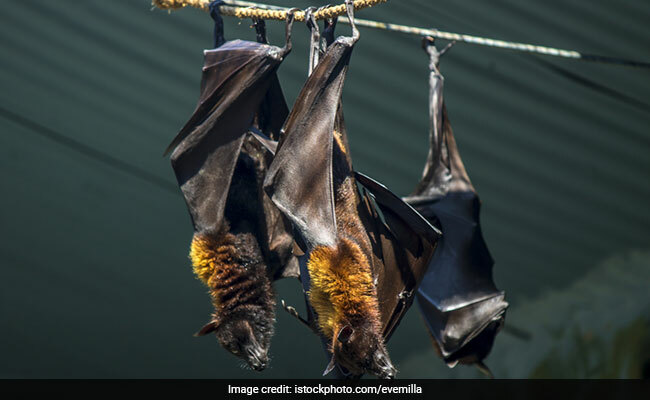 India's Ministry of Health and Family Welfare said Tuesday that public health crews found numerous bats in a water well that had been used by three family members who were among the victims. The crews have since sealed the well with florescent nets, according to BBC News. "I think I am almost on my way. I may not be able to see you again. Sorry," Puthusheri wrote, according to the Associated Press. "Take care of our children." Henk Bekedam, WHO's representative to India, said the agency is monitoring the outbreak. "WHO has been informed about Nipah virus cases being reported in a family from a village in Kozhikode district of Kerala," he said. "Both the central and the state health authorities have been quick in responding to the situation and have promptly deployed teams and experts to the village to further assess the situation. WHO is in close contact with the teams of experts deployed to the affected areas. We await the assessment reports of the teams to clarify the situation and guide further action."